Juventus would be prepared to cash-in on Argentina forward Paulo Dybala and fund a €100 million move for Benfica wonder kid Joao Felix, according to reports. 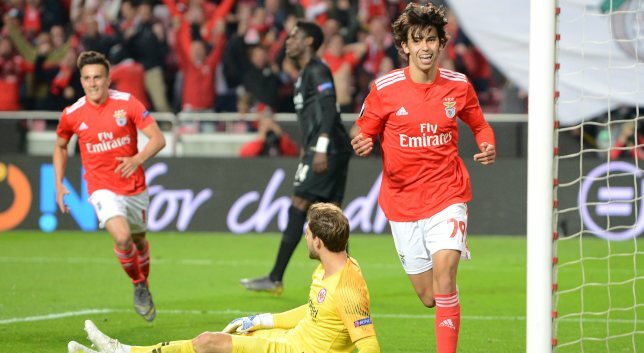 Felix, 19, has emerged as a breakout star in 2018/19 thanks to a staggering record of 15 goals and seven assists in 36 appearances. Scouts were wowed again on Thursday when the teenager excelled in a 4-2 quarter-final, first-leg victory versus Eintracht Frankfurt, becoming the Europa League’s youngest-ever hat-trick scorer. Tuttosport have stated that the perennial Serie A champions have joined the likes of Barcelona, Real Madrid, Bayern Munich and the two Manchester giants in holding an interest in the youngster. In order to meet their valuation of him, that is €20m less than his €120m buyout clause, a sale of Dybala is being countenanced. The attacker has scored 10 times in 37 matches for Juve this term, but has struggled for regular starts. The 25-year-old does, however, retain a transfer valuation higher than Felix’s. If a buyer can be found, this cash would be funnelled into the chase for the Portugal Under-21 sensation. Manchester United‘s lack of communication with Ander Herrera has played a major part in the midfielder’s plans to leave Old Trafford at the end of his contract, Press Association Sport understands. The 29-year-old has been with the Old Trafford giants since making a big-money switch from Athletic Bilbao in 2014, signing a four-year deal with the option of a further season. United invoked that clause just before last year’s deadline but have failed to negotiate a new deal with the club’s 2016-17 player of the season, despite the midfielder’s initial, and long-standing, intention to stay beyond the summer. 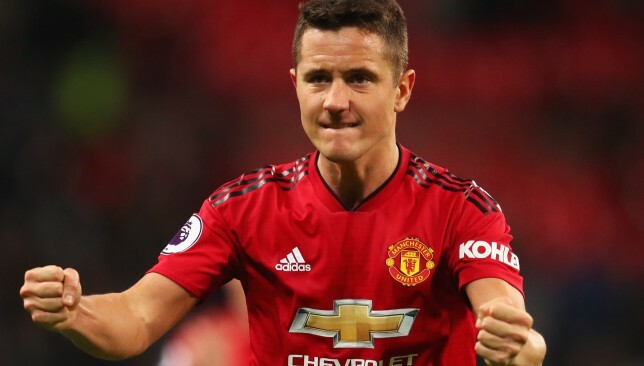 Press Association Sport understands that communication lines went quiet for three months around the start of the year – an unsettling period in which Herrera is believed to have committed to Paris St Germain over another option. Ole Gunnar Solskjaer’s appointment as manager is understood to have brought about a renewed push from United to agree terms, but it looks to have been too little, too late – despite his current club being prepared to make an offer in excess of the wages reported. This week Herrera was quoted by Diario ABC as saying that “Manchester and I are not thinking alike” at the moment, but his pledge to “listen to United” raises questions over the binding the nature of his commitment. As it stands, though, the Spaniard will not be at Old Trafford next season, which would represent an unsatisfactory end to Herrera’s five-year stint at a club where he became a popular and influential figure. The 30-year-old is attracting widespread interest but, like Herrera, there has been an impasse in negotiations. Real Madrid midfielder Casemiro believes Paul Pogba and Neymar are capable of doing well for any team in the world. Los Blancos are set to bolster their squad with world class signings in the summer after a disappointing campaign and the high-profile duo are among those rumoured to ply their trade for the capital club next season. 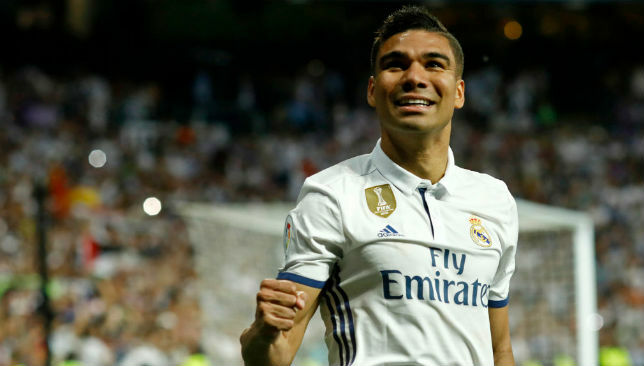 While Casemiro remained neutral regarding the rumours and maintained that Pogba is a Manchester United player, he did admit that the Frenchman is compatible with any club. “Pogba is compatible with any team because he’s a great player,” Casemiro explained at a Q&A hosted by Nordic Life, according to Marca. The midfielder was also asked about his thoughts on the possible transfer of his Brazilian team-mate Neymar to Madrid. Again, Casemiro shied away from fuelling any rumours, but mentioned that Neymar would do well at any club. “You have to ask the president,” he replied. “He’s a great player, but you must ask the president and Neymar himself.